LENDER APPROVED AT $235,000 - MUST CLOSE BY END OF NOVEMBER! AN ELEGANT MASTERPIECE! A castle-like two-story with grand entry. Sunken living room. Oak flooring. Family room with 17 x 13 wall of glass, 17 foot high ceilings and built-in entertainment center w/ gas fireplace. Gourmet kitchen with granite countertops, center island and built-in desk. Office plus balcony with loft looking into family room. Master suite with vaulted ceiling and luxurious 5 piece bath. Two additional bedrooms. Partially finished garden level basement. 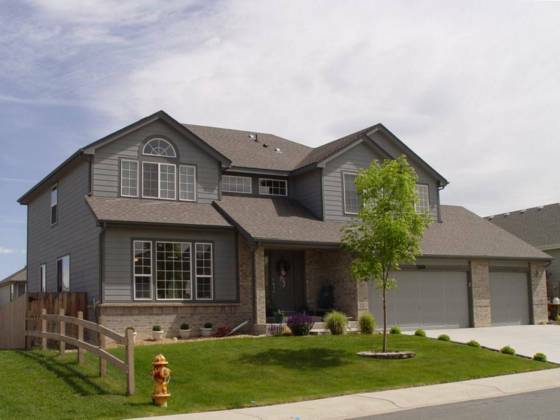 3-car garage, A/C, sprinkler system & privacy fenced back yard with 13 x 10 deck. Purchase is subject to short sale w/ bank.